The fifth Apple iPad Mini 2019 is a 7.9-inch tablet that looks identical to its predecessor. However, there are some important differences. Inside, we get a very powerful Apple A12 Bionic processor now, as well as iOS 12, Touch ID, and a full metal body. Here is everything you need to know about the new iPad Mini. The iPad Mini 2019 looks identical to its predecessor. It features a full aluminum body which is just 6.1mm thin and weighs 300.5g. You can get it in silver, space grey, and gold. On the sides, we get a power button, volume controls and, with the LTE version, a SIM card slot. Additionally, there is the old Lightning connector on the bottom. Next to it are two stereo speakers. Oh, and we do still get a standard headphone jack. Underneath the display sits a home button with built-in Touch ID. That’s Apple’s fingerprint scanner. The cameras have a resolution of 7 megapixels in the front and 8 megapixels on the back. 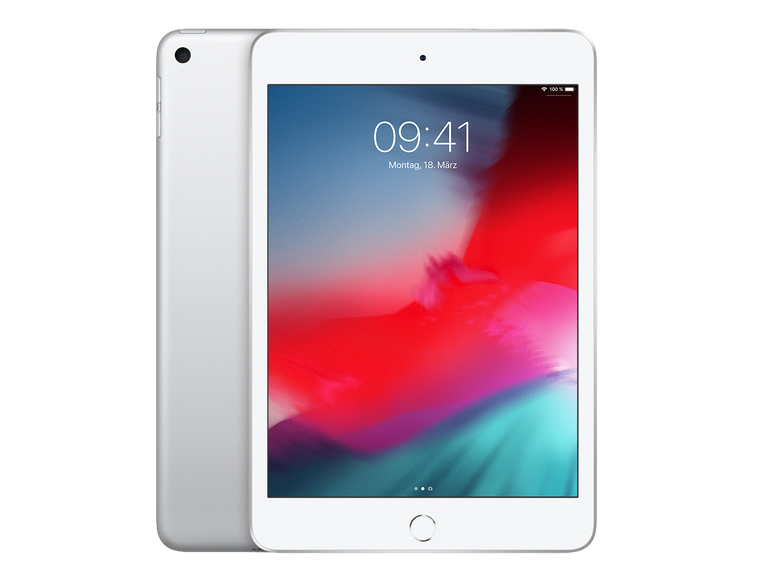 The iPad Mini 2019 features a 7.9-inch IPS screen with a “Retina” resolution of 2048 x 1536 pixels. It is a True Tone display which has an anti-reflective coating and is fully laminated and has a brightness of 500 nits. An exciting new feature is Apple Pencil support. Yes, you can use the original one, but not Apple Pencil 2. Insides the small tablet runs an Apple A12 Bionic processor. We’ve seen that one in recent iPhones already. It is much faster than the A8 of its predecessor. However, it’s not as powerful as the A12X from the iPad Pro lineup. When buying the iPad Mini, you can choose between 64GB or 256GB of internal storage. There is no info on the used memory yet. Apple announced the fourth generation iPad Mini 2019 in a press release on March 19th 2019. It started to get available in the following weeks in the United States and most of Europe. In the US, the tablet starts at 399 US Dollar. However, in Europe, you usually have to pay 449 Euros. More storage or cellular options cost more. There are very few real alternatives to the Apple iPad Mini 2019 only. One that is quite similar is the Huawei MediaPad M5 8 running Android. It features a high-resolution 8.4-inch screen, a full metal body, a fingerprint scanner, and powerful hardware. It is one of the best Android tablets available. However, it is not as fast as the iPad Mini 2019. The Apple iPad Mini 2019 is the best 8-inch tablet you can buy right now. It offers an outstanding performance, a pretty screen, a long battery life, and a great build quality. Other features like its speakers, cameras, and fingerprint scanner are good too. Oh, and Apple Pencil support is fantastic. However, I wish Apple would switch to USB C.